GEW will be exhibiting its full range of UV curing systems for the coating and converting industries, at this year’s ICE Europe show in Munich on stand Hall A5, Stand 1710. This will include conventional mercury arc UV lamps, LED, hybrid UV systems, inert-gas UV curing and GEW’s new multi-point UV monitor. The company will also present its specialist UV curing solutions. As an expert for UV curing technology, GEW has become a leading player in the design and manufacture of UV systems for web coating lines up to 2.50m wide. A range of UV curing equipment is available to cater for all processes, including highly effective short-wave mercury arc lamps for hotmelt adhesives and long-wave UV LEDs for specialist coatings and laminating. ICE Europe presents an ideal opportunity for GEW to update the professionals on its full range of UV equipment. GEW will feature its inert atmosphere curing solution, which can be supplied as a complete new system or as a retrofit. The system features an embedded oxygen level analyser to ensure process consistency and production efficiency. The inert-gas control panel gives the operator a visual interface and enables the required ppm level to be set and automatically maintained via closed loop control, to optimise the curing process. 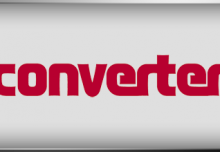 Inert atmosphere curing is an important feature in the production of silicone release liners and other processes requiring total polymerization at highest line speeds. The inert curing process takes place under reduced oxygen conditions in a sealed chamber. This brings many benefits to the cross linking of radical inks, lacquers and silicone coatings, such as faster production speeds, reduced uncured photoinitiators and the ability to reduce ink or varnish weight. 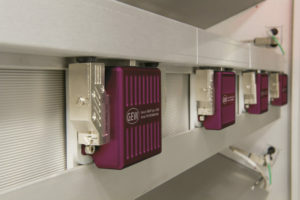 GEW will also display its new multi-point UV monitor (mUVm), a major innovation for UV curing installations. This next-generation monitor continuously measures UV intensity across the web, which is vital to avoid the risks and consequences of undercured product reaching the customer. With this highly reliable and cost-effective solution it is now possible to attain 100% UV inspection and to generate a UV curing certificate for every batch, by recording live outputs for every lamp. 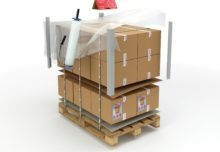 Furthermore, the new monitor is designed to comply with a broad range of European legislation on food contact packaging. GEW (EC) Limited is the market leading manufacturer of robust, energy-efficient UV curing systems for the coating and converting industries. 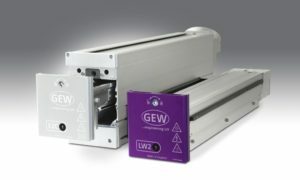 GEW UV systems are designed for operation in the most challenging conditions and come with a comprehensive 5-year warranty unique in its industry. Besides its headquarters and factory in England, GEW owns subsidiaries in Germany and the United States and operates a network of international distributors.